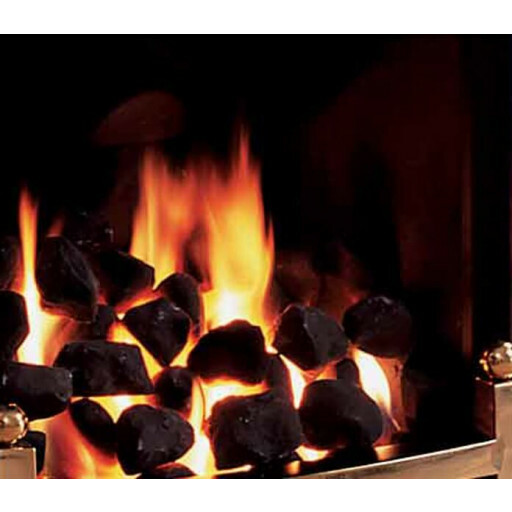 Spruce up the appearance of your Legend Spirit gas fire with this complete coal set package. This is not only the loose coals that sit atop the grate but the entire coal set. Your whole room will look updated and fresh when you replace the old, worn out or discoloured coal set in your home. This is a replacement coal set for the Legend Spirit living-flame effect gas fire. Made of the highest quality materials, this complete set includes the matrix, front coal strip, side coal strip, rear coal strip as well as the loose coals. This replacement coal set will make your Legend Spirit gas fire look new again. Made of high-quality ceramic, these realistic looking coals will hold up well for many years. The ceramic coals are manufactured to hold up to high-intensity heat and will not crack. The set comes in several pieces that are easy to install. Tired, worn out coals brings down the look of your decor. Replace them with this coal set specifically made for replacement in the Legend Spirit gas fire. Family and friends will be impressed with the new look of your beautiful fire and you will enjoy not having to replace your entire as fire.